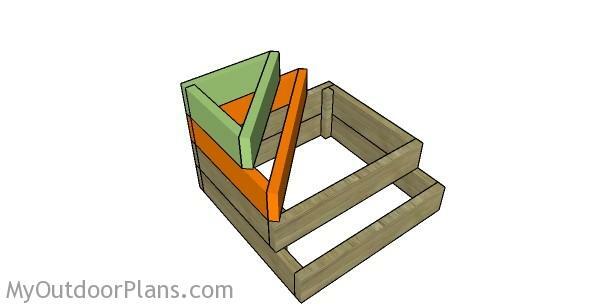 This step by step diy woodworking project is about diy tiered garden raised garden bed plans. 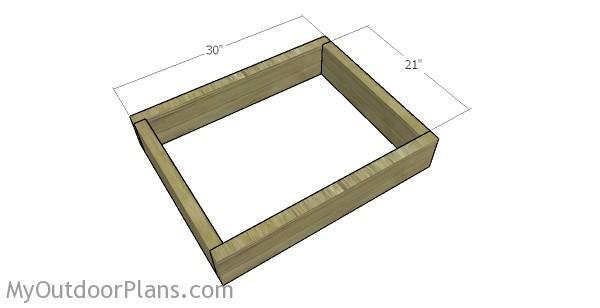 The project features instructions for building a small corner planter for your garden. 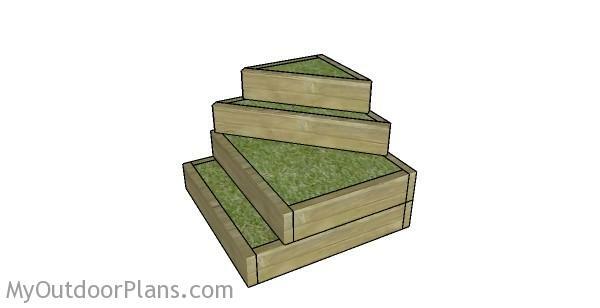 If you want to enhance the look of your backyard, you should consider building a tiered garden bed. Work with attention and make adjustments to the design and overall dimensions if you want to get the job done in a professional manner. The first step of the project is to build the bottom planter. Cut the components from 2×6 lumber and drill pilot holes at both ends of the long slats. 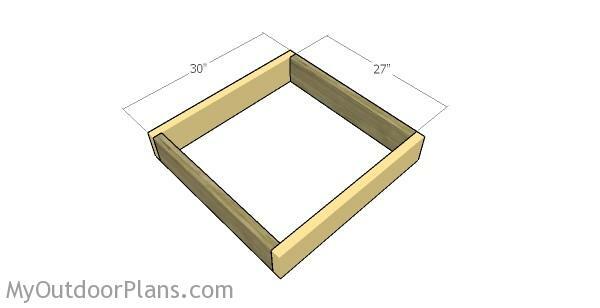 Align the edges and make sure the corners are square before inserting the 2 1/2″ screws. Continue the project by assembling the second planter. 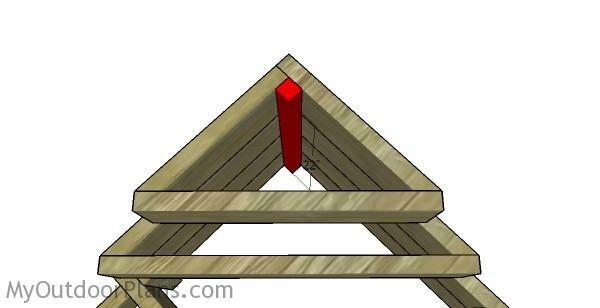 Cut the components from 2×6 lumber and drill pilot holes at both ends of the long beams. Insert 2 1/2″ screws and make sure the corners are right-angled. Align the edges with attention. 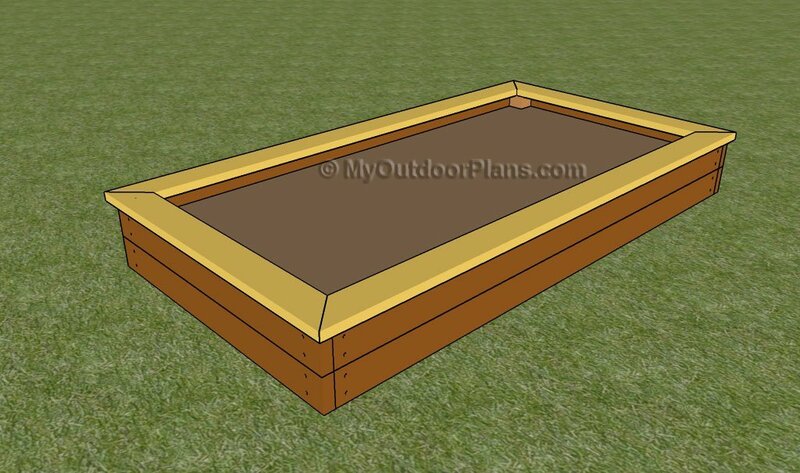 Select the location for the raised garden bed and lay the bottom planter. 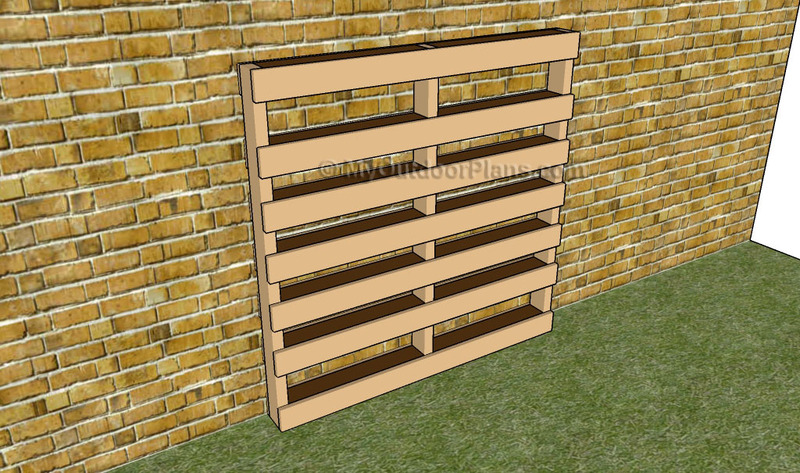 Fit landscape fabric inside the bottom planter and staple it to the wooden slats. 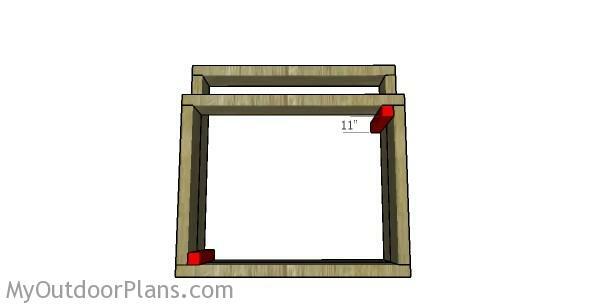 Install the second planter and fit the 2×2 corner supports to lock everything together tightly. Drill pilot holes through the vertical supports and insert 2 1/2″ screws. 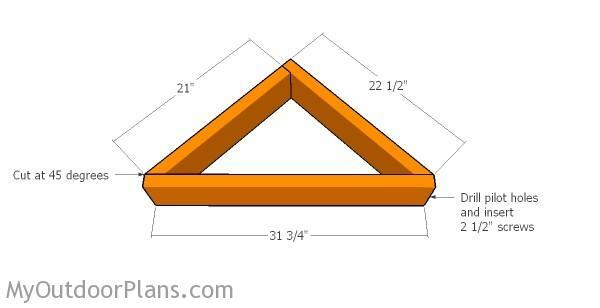 Continue the project by assembling the triangle planter. Cut one end of the side slats at 45 degrees. Drill pilot holes and insert 2 1/2″ screws to assemble the planter properly. Check if the top angle is square. 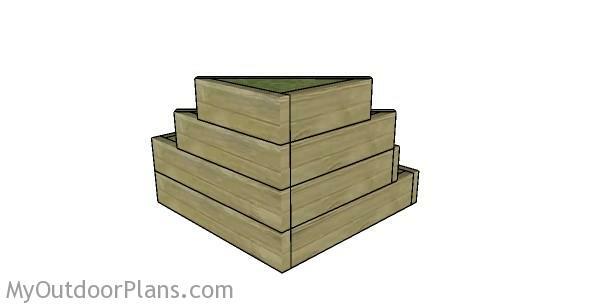 Build the top planter in the same manner described above. Align the edges with attention before inserting the screws. 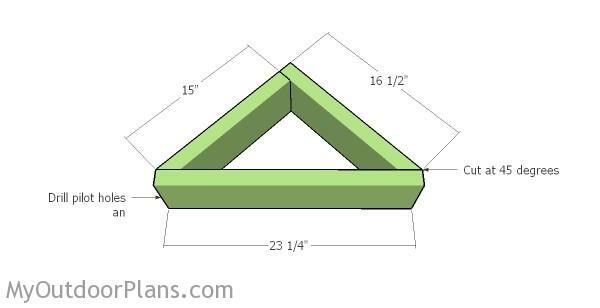 Fit the triangle planters to the raised garden bed, as shown in the diagram. Align the edges with attention and lock everything tightly with screws. Drill pilot holes and insert screws through the diagonal slats into the previous planters. 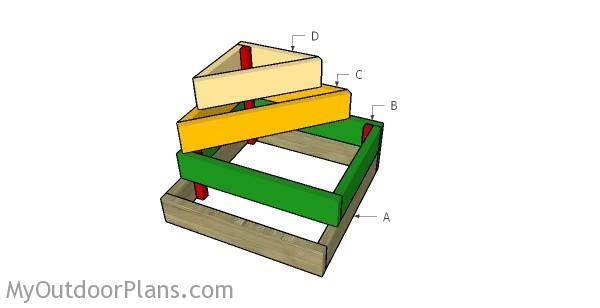 Attach the 2×2 support to the planters, as shown in the diagram. Drill pilot holes and insert 2 1/2″ screws into the planters. Make sure everything is aligned properly before filling the tiered garden bed with dirt. Smooth the edges with sandpaper for a professional result. 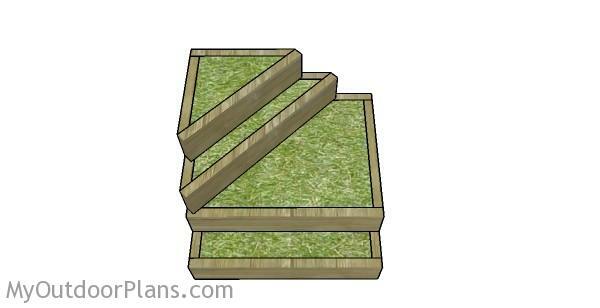 Remember that you can adjust the size of the garden bed to suit your needs. Fill the holes and dents with wood putty and let it dry out for several hours. Use 120-200 grit sandpaper to smooth the surface. Remember that you can adjust the design of the planters to suit your needs.